Welcome to my online resource page. If you have any questions about what you see here, please call 660-646-8000, Ext. 2. Visit my office at 700 Webster Street, Suite 3, Chillicothe, Missouri. State law requires that all real property be reassessed every two years. The current law requires reassessment to occur every odd-numbered year. Changes in market value as indicated by research, sales ratio studies and analysis of local conditions as well as economic trends inside and outside the construction industry are used in determining one’s assessment. Livingston County Assessor Steve Ripley reports that his office has completed the first part of the 2017 reassessment process. Later in the Spring, impact notices (change notices) will be mailed to property owners. Ripley stated that about 2,400 notices are expected to be mailed. Q) What does the enclosed notice mean? A) The enclosed notice is informing you of a new appraised value of your property for taxation purposes. Missouri law requires that assessors appraise residential, commercial and industrial property, and all agriculture buildings at market value. Briefly, market value is the amount of money which a property could be sold for in today's market. The law requires that reassessment occurs on each odd-numbered year. Q) I haven't built anything new; why should my assessed value be increased? A) In general, just because you haven't added or built anything new does not mean that your value is not increasing. Recent sales of property (past 24 months) may indicate that residences may not be at current market value, or residential land values may need to be adjusted. A) You are not alone. Other property owners in Livingston County are also receiving change notices at this time. Q) I feel I already pay enough property tax, why should my assessed value be increasing? A) Unfortunately, the law does not provide for assessors to establish assessed values based on various property owners ability or desire to pay property taxes. The law requires that the properties be appraised at market value for taxation purposes. Q) I don't have any idea what my property is worth, now what do I do? A) Perhaps the first consideration should be, "would you sell your property for the amount indicated as the new appraised value?" If the answer is no, then that would be an indication that the new appraised value is not too high. If you are still not sure, then you may want to investigate the local real estate market. Q) I don't want to sell my property, why should I care about market value? A) Every property has value, just because you aren't interested in selling does not mean that your property's value has not changed since the last reassessment. The law requires that properties be appraised at market value for taxation purposes. Q) How much will my taxes be increasing? A) Unfortunately taxes can’t be determined at this point. The tax levies are set by the taxing entities in September of each year. The assessor is charged with placing fair market value on taxable property and informing property owners of increases in value. Should you still have questions after reading all the information provided, you may contact the assessor's office at 660-646-8000, ext 2. Please be prepared to provide substantial information to support your estimate of the property value. 01/07/2019 - Livingston County Assessor Steve Ripley has recently had the forms mailed to property owners for listing their personal property which is subject to assessment for the 2019 assessment year. Please take a moment and look at the personal property form. Most forms should have a preprinted list of items. Ripley suggests that you examine the form carefully and follow the instructions provided, ADDING any personal property you owned as of January 1, 2019, and providing the vehicle identification number (VIN), and MARKING THROUGH any items you no longer own. E-filing is available to report personal and business property. Property owners will notice an ePin number printed on their 2019 property list - this number will be unique to each individual account. Follow these simple instructions to file your personal property with the assessor's office; or, if you choose, you can complete the paper form and return it to the assessor’s office. By March 1, 2019, every owner of personal property must report, either online or on the form provided by the assessor, all taxable personal property which was owned by the person or business on Jan. 1, 2019. There will be a form for individuals owning personal property and a separate form for business and commercial personal property owners. Ripley also noted that the reporting of business and commercial property has changed for items purchased after January 2, 2006. Those items shall be depreciated using the Cost Recovery Tables, as specified in RSMO 137.122 and based on the IRS MACRS tables. Those not returning a completed list to the assessor by the March 1 deadline are subject to a penalty. "Penalties range from $10 to $100 depending upon the value of the property," Ripley said. "The statutes provide the assessor with almost no discretion to waive the penalties." The assessor advises that the best way to remember to return the list on time and avoid a penalty is to fill out the form, sign it, make a copy of it, and put it in the mail the same day you receive it. A copy of the form may be helpful if a question arises regarding the filing of the form. Property owners who have not received a list or who are new residents to the county are not excused from filing and should contact the assessor's office to obtain a form at 660-646-8000 ext. 2 or stop by the office on the first floor of the courthouse. Click the “efile personal property” button. (Each screen will step you through the process, but you can print these instructions for reference). Select whether you had moved from the listed physical address, and if applicable enter in the date you moved. Once completed, please Save or Print the PDF page for your records. The reporting of business and commercial property changed for items purchased after January 2, 2006. Those items shall be depreciated using the Cost Recovery Tables, as specified in RSMO 137.122 and based on the IRS MACRS tables. The Livingston County Assessor's office will not process land transfers or land splits recorded after September 15 of each tax year. Land transfers recorded after September 15 will be processed after January 1 of the following year. RSMO. 53.073 states that the assessor shall on or before October 1 of each year furnish to the county collector a list of all real property transfers occurring after January 1 of that year and before September 1 of that year. (The Livingston County Assessor's office, as a courtesy, will extend the recording date to September 15.) Title companies, lending institutions and attorneys should be advised that the tax bill will go to the owner of record as of September 15 of each tax year. Arrangements may need to be made by the closing agents to assure appropriate amounts are charged to the buyer and seller. Regardless, it is the responsibility of the current owner to ensure that the property tax is paid. In the event you have purchased property after September 15 and have concerns about the tax statement, the assessor's office can provide you with the necessary paperwork to show ownership, parcel identification number, and a copy of the recorded deed. For more information, contact Assessor Steve Ripley at 660-646-8000. The Assessor is a county elected position. The Assessor is responsible for developing and maintaining a current list of all taxable real and tangible personal property in Livingston County and assessing the property annually. Assessed valuation provides the tax base for property taxes levied by various political subdivisions. 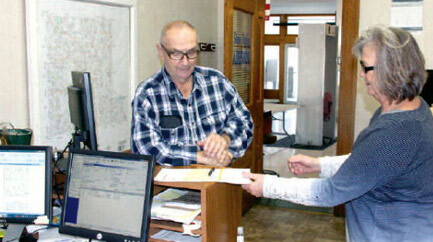 A county-wide elected office with a four-year term, the Assessor position is held by Steve Ripley. 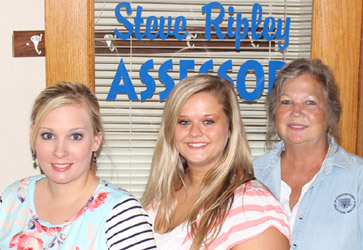 Mr. Ripley has been the County Assessor since 2000. His local county government experience includes working for the Livingston County Sheriff's office from 1988 to 2000. 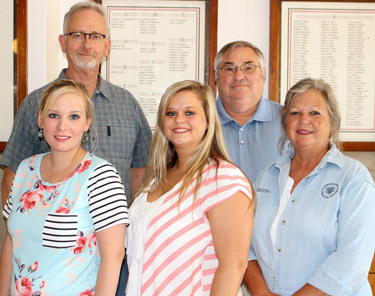 Since coming to the Assessor office, Ripley has implemented several changes to the office including, personal property costing system, preprinted personal property list, real estate costing system (CAMA), remote editing system, Geographic Information System (GIS) mapping, including new aerial photography and about-to-be-launched a web based GIS system tying together the costing system, mapping and the most current recorded deed. Ripley is a member of several organizations including, International Association of Assessing Officers (IAAO). He has held all offices of the local North Central Missouri Assessors Association, currently serving as its president. He also is a member of Missouri Assessors Association, Missouri Mappers Association, and has served on the statewide livestock committee. Assessor's office hours are 8:30 a.m. - 4:30 p.m.. We are open Monday thru Friday. Enhanced Real Estate/Web GIS Subscriptions, $300 /year (2 users, additional user id's are $30 each per year). The enhanced Website is designed to bring the Assessor's, Recorder of Deeds, and Collector/Treasurer's offices to you 24/7. The Website is beneficial to those in the Real Estate profession, including appraisers, abstractors, surveyors, real estate agents/brokers, insurance agents all without having to come to the courthouse. The Website includes mapping with mapping tools; property record information; the last recorded deed with an additional subscription website that will allow you to access prior deed information; and, the ability to view current taxes. Subscriptions are $300 yearly, with a renewal date of September 1st of each year, subscriptions will be prorated at $25 a month for those subscribing after the subscription year begins. At this time, a yearly subscription is all that is available. Livingston County reserves the right the refuse a subscription request or to terminate a subscription for improper use. Please be reminded these data services are available as a convenience for the users of the data and in no way is intended to replace the need for physical inspections or verifications. The associated ownership data is assumed to be correct but may not necessarily be, and as such anyone making decisions or assumptions based on the associated data does so at their own risk. Neither Livingston County, Vanguard, Midland GIS Solutions, Tyler Technology nor Devnet can be held responsible for consequences that result in the use or misuse of this site or the data contained herein.